The "New York Times "bestselling novel that launched the beloved world of Rosemary Beach and introduced the world to Rush and Blaire. The last thing Blaire Wynn wants is to move in with her father s new family in Rosemary Beach, Florida. She has no choice. Blaire s mother has passed away after a long illness, leaving behind a mountain of medical debts and no way for Blaire to keep their small Alabama farmhouse. 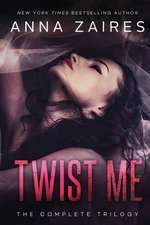 Driving into the wealthy resort town in a pickup truck with a pistol under her seat, Blaire knows she'll never fit in. She s even more disappointed to discover that her father has left for Paris, leaving her with her new stepbrother, Rush Finlay. The cynical, condescending, and unapologetic son of an infamous rock star, Rush is as spoiled as he is gorgeous and he immediately gets under Blaire s skin.